Wednesday, September 1st at 11:00 a.m. In this 1951 adaptation of C.S. 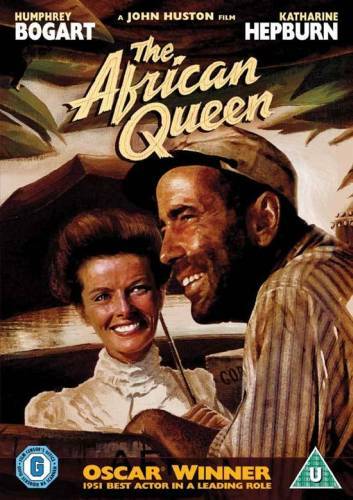 Forester's novel, Humphrey Bogart and Katherine Hepburn costar as an unlikely pair thrown together in German East Africa during the First World War. A gin-swilling riverboat owner is persuaded by a strait-laced missionary to use his boat to attack and enemy warship. Despite initial antagonism, the pair grow closer as their quest drags on. Come see of John Huston's most beloved, and funniest, movies!